CM 21/100 mass comparators enable calibration of mass patterns and weights ranged from 1mg to 100g with readout precision from 1 ìg . Comparators are equipped with built-in procedure of defining average standard deviation with ABA or ABBA method for maximum 20 repetitions, after which a report containing the results is generated. A modern weighing module with graphic Display is responsible for control of comparator operating. CM 21/100 comparator is equipped with new software that is operated intuitively and user-friendly. Comparator is also equipped with an esthetic and spacious glass weighing chamber with side and top doors. The chamber elements are made of glass and metal, which minimizes electrostatics influence on weighing result. What is typical of CM 21/100 comparators, is a two-element structure with electronic module separated from high-precision mechanical measurement system. Possibility of separating head from weighing chamber considerably reduces vibrations transfer to the chamber and- thanks to possibility of locating it in optional place- it improves operating ergonomics and device operating comfort. Comparators are used for providing coherence of mass measurements as well as for weights verification in accordance to legal metrology requirements. 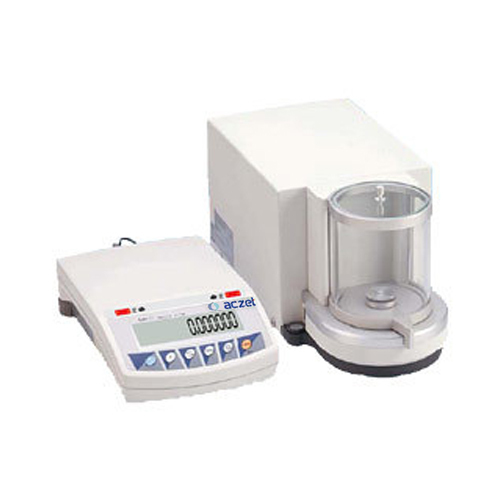 CITIZEN mass comparators won approval of calibrating laboratories of many countries in the world.